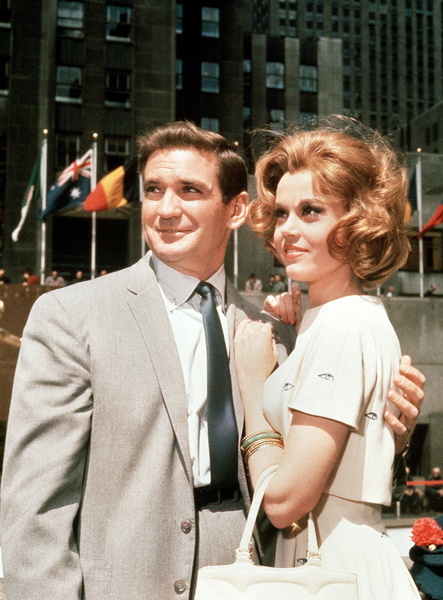 SUNDAY IN NEW YORK shows that whatever else the Sexual Revolution accomplished, it dated this kind of frenetic farce into the same relevance as an old telephone. In 1963, virginal Jane Fonda (don’t choke), is engaged to snappy Robert Culp, but she gets tangled up with manly Rod Taylor, then caught at it by rakish Cliff Robertson, her brother. She believes he’s pure, but he’s really going at it hot & heavy with Jo Morrow…round and round for 105 minutes directed by Peter Tewkesbury. Loud and obvious, with only some nice scenes of rain-cleansed Manhattan to break up the endless twaddle. Watching Fonda goggle her eyes at suggestions of pre-marital whoopee and shriek in protest makes you embarrassed to be in the same room as your television. 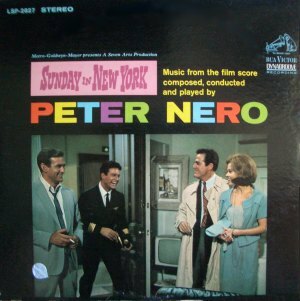 Contributing to the exhaustion, there’s music by Peter Nero (I flee the hemisphere) and a title tune by Mel Torme (I am abandoning the solar system). It cost $2,000,000, landing #54 for the year, skimming $5,400,000. With Jim Backus, and an unbilled bit from Jim Hutton. Movie has its fans, but I’m passing.